You may have caught my WWDC 2015 wish list yesterday morning which I made in advance of the WWDC presentation last night. While we didn’t get everything I was hoping to see, we did get a good chunk of it. 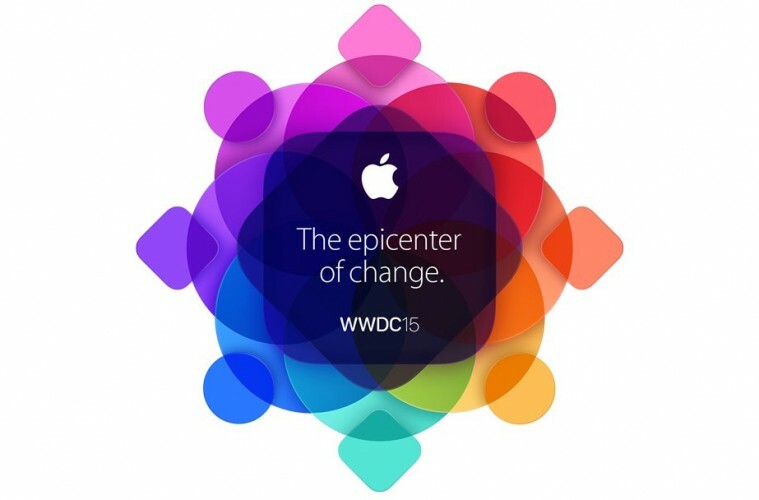 Enough to keep me happy anyway, here are the top highlights of the keynote. As expected, the next version of OS X has been announced and it is called ‘El Capitan.’ Just as we expected, El Capitan is about refining the experience that Apple introduced with Yosemite last year. You will now be able to pin sites to Safari so that they stay in the tab bar even when you open a new window, you will also be able to mute audio coming from another page by doing so in the address bar. Spotlight is being made more powerful and will have further search capabilities such as looking up the weather, events and using natural language for searching. Most of the changes take place underneath the visuals with greater performance and stability being brought to the system. Improved windows management will also allow for easier control over split screens and window movement to different desktops. Much like OS X, iOS 9 is about refining what is already present however there is also some significant upgrades too. The notes app is getting more functionality such as drawing with your finger and also the integration with share sheets. Health Kit is going to be able to track more health related data and there is a low power setting which will get you an extra three hours of battery life if you are running low and are not near a charger. The iPad is gaining even more significant improvements with the ability to use two apps side by side on the screen and also picture in picture ability for when you want to reply to an email or text but don’t want your video to be interrupted. The biggest iOS update however is with Siri. People may say they are copying Google Now but to be honest I would be perfectly happy for them to copy Google Now because it is the one big part of Android I love. The ‘proactive assistant’ will use data on your iPhone to give contextual options and advice, much in the same way that Google Now scans through Gmail for data. Siri will auto add appropriate meetings and events to your calendar. Siri will also suggest people you may want to call at certain times of the day and also breaking news that you may want to read. There is an entire new view when you swipe to the left of the home screen which contains all of this information and suggestions. Interestingly, Apple has had a swipe at Google and pointed out that all your data stays on the phone and does not go to the cloud. Remember Newsstand? No? Me neither to be honest, I never used it. Thankfully it is being replaced by a new app called News which is remarkably like Flipboard. You can read articles from all sorts of publications and the app is essentially a combination of Flipboard and Facebook’s instant article feature. It looks very slick and has some really nice animations in the app to make it even easier on the eyes. The News app will roll out in the US, UK and Australia to start. Sadly there is still no news on when the Apple Watch is coming to Ireland however if you are happy to take the hit on the exchange rate then you can order it from the UK using a Parcel Motel account. My Apple Watch arrived this morning and I am loving it so far, even better is the software coming later this year. Native apps are on the way which will be a big boost, it will allow apps to run much faster on the Apple Watch as they won’t need to pull in all the resources from the iPhone. There will be new watch faces, the ability to reply to emails and time travel which will allow you to see what is coming up in your day all on the watch. There will also be full Healthkit and Homekit support for developers. Apple Music was at the end of the keynote and involved Apple taking the wraps off its new music software. You can stream music, watch music videos and listen to curated playlists. There is also a feature called Connect which will allow artists to upload music if they are unsigned as well as uploading behind the scenes photos and video on what they may be working on. Apple is even launching a global radio station called Beats 1. It will cost $9.99 per month or $14.99 for a family plan for up to five other people. It will be available from June 30th and it is also coming to Android and Windows this fall. Cool Announcements That Were Not So Good (From An Irish Perspective). There was also some cool announcements which were not so great from an Irish perspective as there is no indication on when we may get a chance to use them ourselves. Firstly, Apple Pay is debuting in the UK next month and will work with eight banks and a variety of different brands. It will also work on the London Transport system so now your Oyster card will be on your iPhone. Passbook is being changed to Wallet and Apple Pay itself will be getting support for reward cards. Its a shame that Apple Pay is not venturing further into Europe at the moment, contactless terminals in shops are becoming a standard now in the EU which is not so much the case in America. We seem to be adopting the technology a bit faster so all that is really required is negotiating deals with the banks. It is a step forward but with it taking a full year to make that step, who knows when they may extend Apple Pay support next. Then there was the public transit directions, Maps will support public transport routes for various cities such as London, New York, Shenzen and others. Train lines and subways will be mapped along with up to date realistic travel times based on the public transport system at that time of day. Sadly it won’t be coming to Dublin but at the same time that is not a surprise as our public system is nowhere near as efficient as others. Overall it was a good showing from Apple, some very nice software updates and improvements to look forward to. There is no ground breaking innovation here but we really shouldn’t expect that as it has become more about building on the foundations that are in place to create a solid customer experience when using software. Roll on the next event! Next ArticleWWDC 2015 – Beware Of Beta Software!